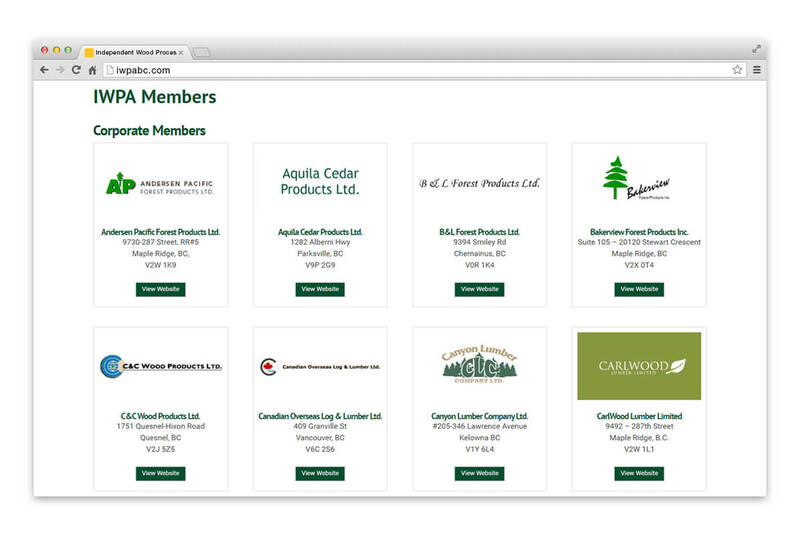 Membership Association Website - NetClimber Web Design Inc. 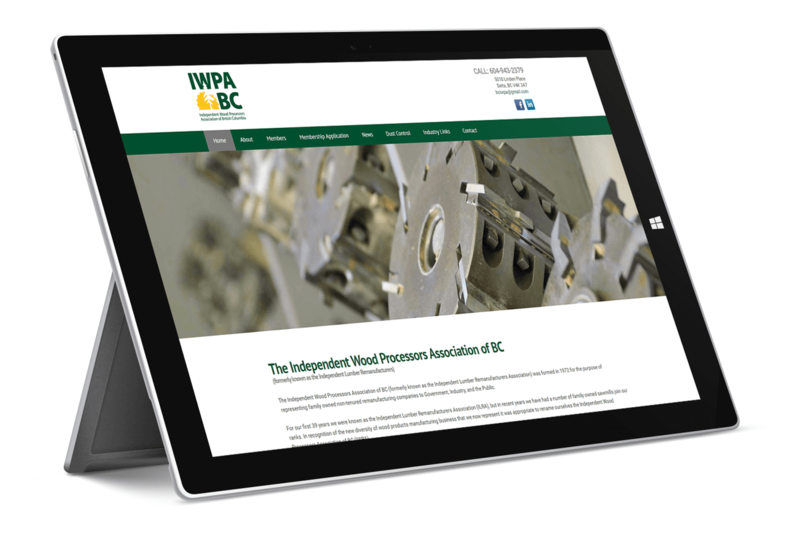 The Independent Wood Processors Association of British Columbia came to NetClimber Web Design in need of a full update for their website currently using the WordPress platform. We used our new custom WordPress theme built by NetClimber for IWPA BC. 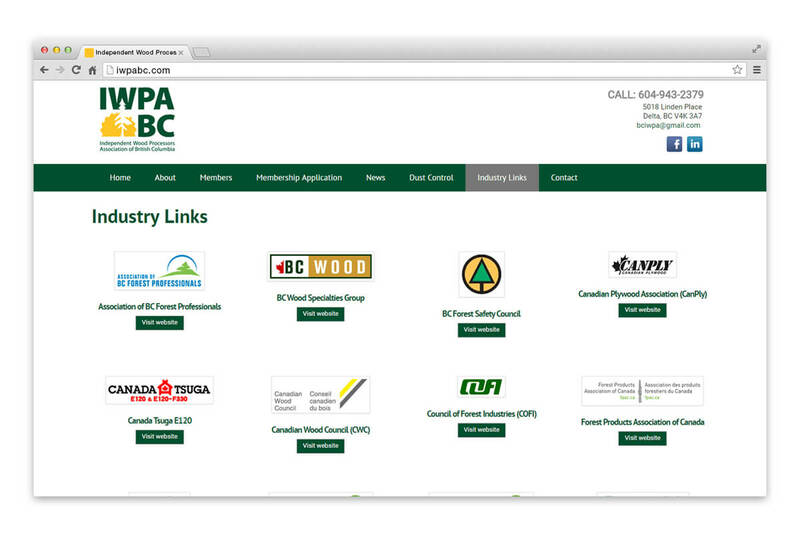 Our theme utilizes the Cornerstone plugin page builder, which allowed IWPA BC’s membership directory a unique look. 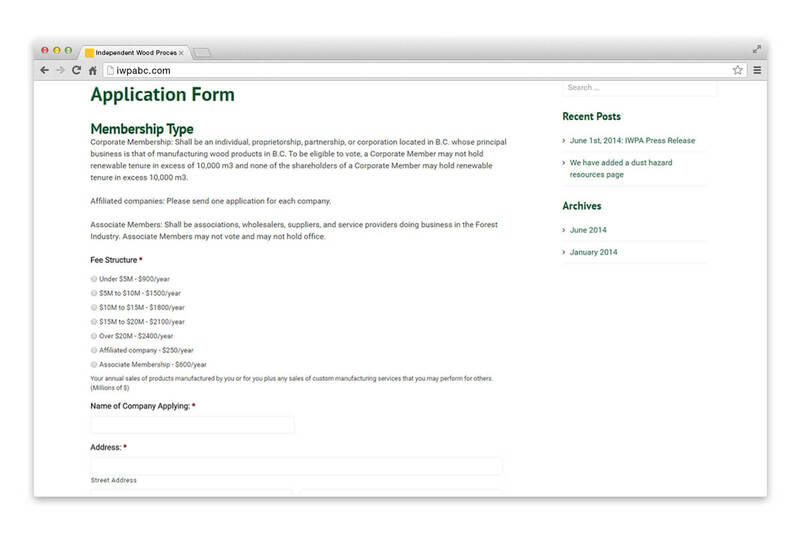 The website also features a unique membership application form and a news section for blogging.